Brett Favre has to come back!! Right? > News > Brett Favre has to come back!! Right? 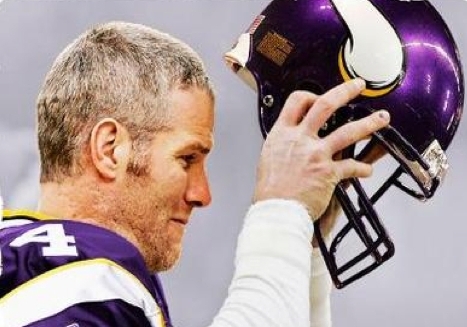 And here we are again...waiting for Brett Favre to make a decision on his return to the NFL. I know some of you out there wish he would just go away and get it over with because you’re simply tired of hearing about Brett and whether or not he’s leaving or coming back. Some of you simply don’t like him, especially if you’re a Packers or Jets fan. Then some of you out there are like me and don’t ever want him to leave the game. You understand he’s great for the game, he’s tougher than any other quarterback in the league and whether you haters like it or not, he’s arguably the best ever. He has the passion and the desire to win that’s second to none and he has to come back because he’s still got it!! I mean let’s face it, he had possibly his best season ever last year that ended in the NFC title game. If he's here for another season I believe there is a Super Bowl to be had by him and the Vikings. If he leaves...not so much. What do you guys think…do you want him back or gone?